Learn more about the contact swap feature. 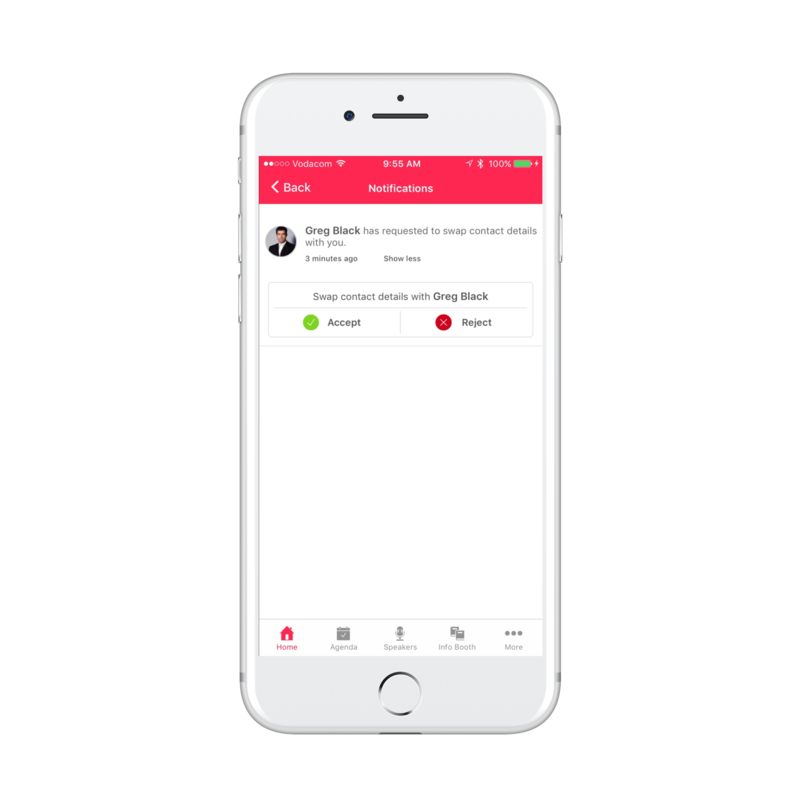 Contact Swap gives your attendees the opportunity for greater engagement with each other by swapping contact details instantly on their mobile devices. The contact swap request will be available on the attendee profile inside the attendee list and will receive a notifications once a contact swap has been requested. Attendees can approve or decline the contact swap request.